#369 Civil War Locomotive Package. 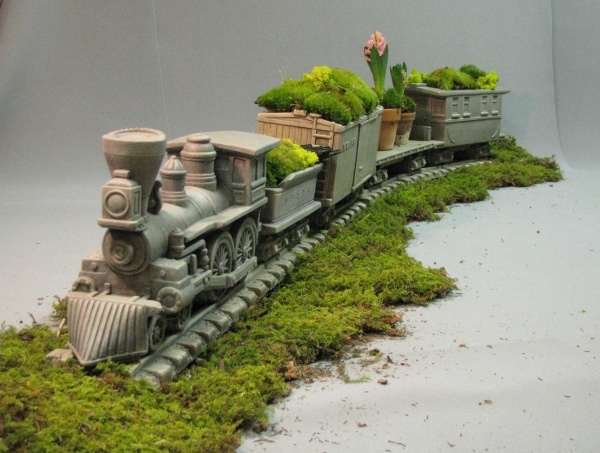 Fantastic detail and craftsmanship make this garden train/planter irresistable. Includes Locomotive, Coal Car, Flat Car, Box Car and Caboose, both with Removeable Lid, and 6 Sections of Track.